Former federal prosecutor and experienced criminal defense lawyer John Helms explains how a defendant in a federal drug case can prove innocence due to being forced to participate in a drug crime. What happens if drug traffickers threaten to harm a person’s family if the person does not transport drugs for the traffickers? What if the trafficker threatens to kill the defendant right then and there if the defendant does not do as he is told and transport drugs? The law that applies to federal drug trafficking and distribution cases in Dallas, Fort Worth, Plano, and Sherman, Texas recognizes that the accused is not guilty of drug trafficking or distribution if the accused was coerced into doing it. Coercion, though, can be difficult to prove, and the defendant must prove that it was more likely than not that he was coerced. Fourth: That a reasonable person would believe that by committing the criminal action he would directly avoid the threatened harm. The most important aspects of the law of coercion, and the aspects that are the most difficult for defendants to prove, are the first and third—that the threat of harm was immediate and that the defendant had no alternative but to violate the law. They are interrelated. The first element requires that the threat must be “present, immediate, and impending.” This means that the threatened harm must occur right away, as opposed to at some indefinite time in the future. The reason is that, in order for the threatened person to have no real alternative, such as going to the authorities, there must be a real and present danger. Someone holding a gun to your head would be a classic example of a real and present danger that would qualify. A statement by someone on the phone that you need to work with the person, or else something bad might happen to your family, might not qualify, because the danger to the family may not be imminent enough, and you probably have time to either go to law enforcement or take precautions to protect your family, or both. The third element is similar. It is that the defendant had no reasonable alternative, except for breaking the law. Usually, this is because the defendant did not have the time or the ability to resist because the situation was a real emergency. If the defendant had time, for example, the Government will argue that the defendant could have easily gone to law enforcement. If a defendant has a gun to his head, he cannot do that. If he gets a phone call telling him to cooperate with drug traffickers in the future, the Government will argue that he could have gone to the police. A defendant who claims coercion has the burden of proof of coercion. This means that the defendant has to offer evidence of coercion, and if he fails to do so, the jury will not be told to consider it. As a practical matter, this may mean that the defendant has to testify in order to use coercion as a defense, because there may be no other witness who could testify that the defendant was coerced. Testifying opens a defendant up to full cross-examination by the prosecutor and can expose the defendant’s criminal history. A defendant also probably cannot deny that he committed the crime and also claim he was forced to commit the crime. The two are generally inconsistent, and in all likelihood, a jury will see these positions as a sham. Whether the defense of coercion can succeed in a federal drug trafficking or distribution case depends on all of the individual facts of a case. If a defendant asserts the defense, the defendant may have to testify, which requires extremely careful preparation. 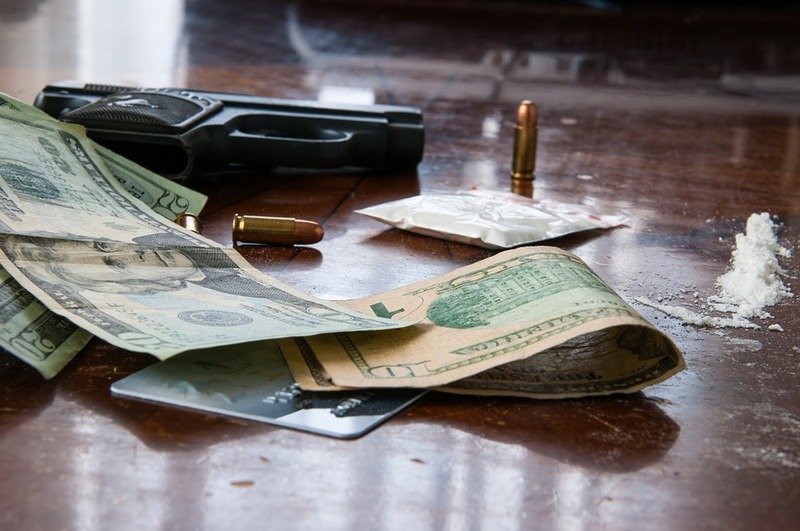 If you or a loved one is charged with a federal drug trafficking, conspiracy, or distribution case in Dallas, Fort Worth, Plano, or Sherman, Texas, and there is a question about whether the accused was forced to participate, you should consult an experienced federal criminal defense lawyer who knows the law in this area and who can investigate and develop the facts to determine the likelihood that the defense could succeed.